This Hollow Designed Female Leather Flat Shoe is designed for your cooperative outlook, as well as casual wears, it gives comfort and smartness while walking. The upper material is made of genuine leather all round, while the sole material is made of Achilles tendon protector which reduces stress on the heel. Tendons are for long, lasting and eliminate easy worn out of shoe sole. 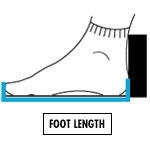 The inside material is made with Cortex material, to cushions and supports your foot and arch as well as to give comfort, and protect your feet from calluses or blisters. This is a quality designed shoe that cannot be easily distorted or deformed for a very long time. one pair of shoe with shoe paper wrapper.